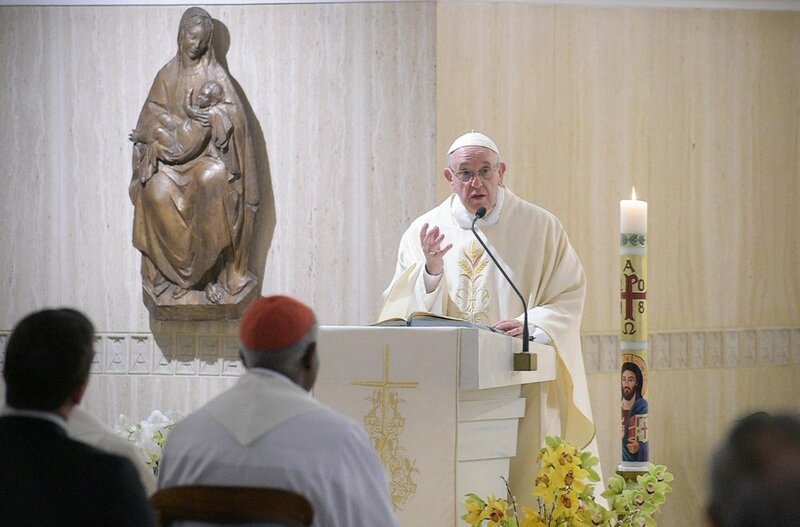 According to Vatican News, Pope Francis stressed this during his daily morning Mass at Casa Santa Marta as he reflected on the central role of the Holy Spirit in the disciple’s life, looking at the day’s readings. Recalling today’s Gospel from St. John, the Pope noted that the doctors of the Law’s observance of the law became rigidity. Placing themselves at the center, Francis noted, they remained untouched before the works the Holy Spirit accomplishes. The Holy Father highlighted their inability to “discern the signs of the times” as a type of prison. He prayed we nowadays are instead able to discern such signs in order to make the decisions that we need to make in that moment. “They remained docile to the Holy Spirit and accomplished something that was more than a revolution.” The Holy Father suggested they put the Church in motion showing us that a Church can only achieve its balance like a bicycle—only when it is in motion. There are two contrary ways to describe a person’s reaction to the breath of the Holy Spirit, the Pontiff said, closure or openness. Openness, he said, characterizes the disciples and the apostles. Recognizing there will always be resistance to the Holy Spirit in the Church, the Pope concluded with this prayer for us to be granted strength of the Spirit: “May the Lord grant us the grace of knowing how to resist those that we must resist, those who come from the evil one, those who deprive us of our freedom.